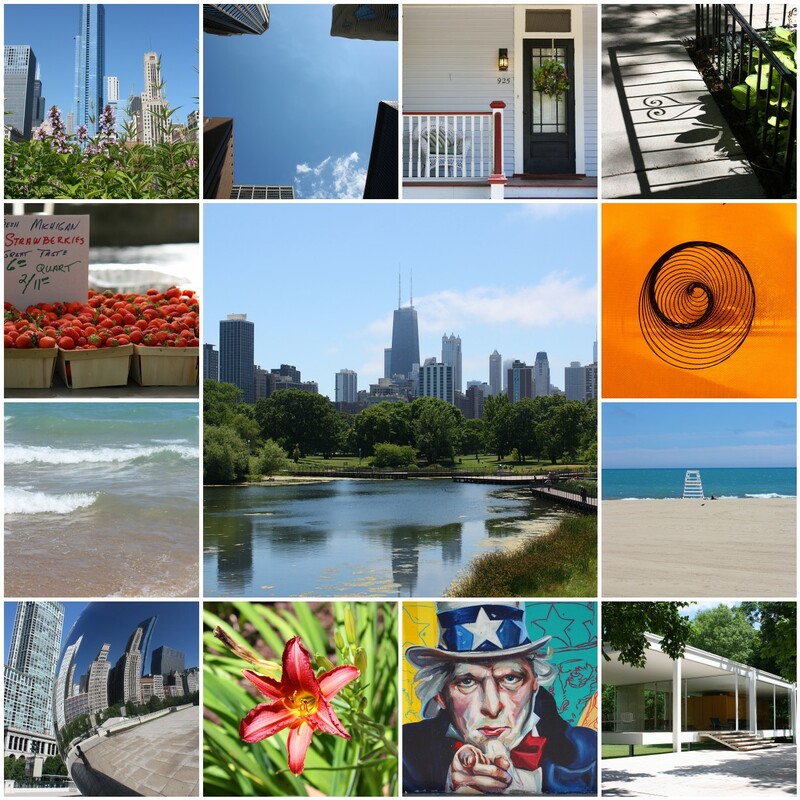 We spent a week in sunny Chicago back in June. I hadn't really thought too much about the trip before we left as I was so busy at work in the few weeks leading up to it. So I had no expectations really other than what little I'd read in the Lonely Planet guide. We chose Chicago for two reasons: firstly there is lots of great architecture there (Mr DI's great passion) and secondly you can't fly directly to Bogota from there. You may remember that Mr DI is Colombian and we often break our annual trip to South America with a stopover in a US city. We'd talked about going to Chicago forever and never quite made it, so this year it was time to finally visit. And it was great. 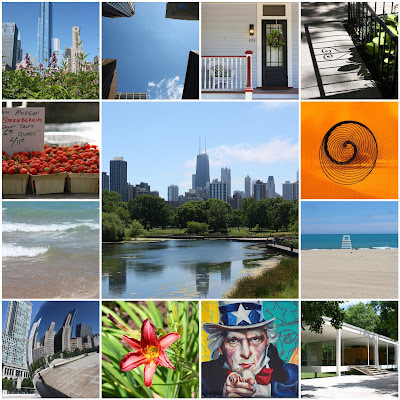 What a fantastic place to live: a manageable-sized, clean city, on the edge of freshwater lake Michigan, culture and art everywhere, happy, friendly locals, some to-die for suburban home (I want a house with a porch!!! ), well-kept parks, farmers' markets, even cool graffiti. I could live there, really I could. Not too sure about their reportedly freezing winters, but let's not worry about that too much for now. More Chicago shots over at Flickr soon.